Travelzoo (NASDAQ: TZOO) is a global Internet media company and trusted publisher of travel, entertainment and local deals. Our team researches, evaluates and tests thousands of deals to find those with true value. We recommend only deals whose accuracy and availability we can confirm. With over 27 million members, we are the largest publisher of travel deals on the Internet. The information that Travelzoo provides is concise, factual and no frills. It cuts through clutter and makes life simple for our members. We provide valuable insights that help users save money. Hundreds of travel companies list their very best offers with us. We have local deal experts (we call them producers) across Australia, Canada, China, France, Germany, Hong Kong SAR, Japan, Spain, Taiwan Region, U.S.A, and United Kingdom, who work with companies in order to provide you the smartest information. While it does cost companies money to have their deals listed on Travelzoo, all deals are carefully selected and no amount of money ensures that a deal will get listed – Travelzoo only publishes top-value offers. The hottest travel deals are handpicked and published every Wednesday in our famous Travelzoo Top 20™ e-mail newsletter, the Internet's most popular travel newsletter. At Travelzoo, we want your travel experience to be fun and enjoyable right from the start. That's why we don't endorse deals packed with tons of value alone—instead, we go one step further and ensure that every deal we publish is accurate, available and easy to book. We know there's nothing more frustrating than not being able to book a great deal. That's why at Travelzoo we have Test Bookers whose job it is to test all of the deals you see on our website either online or on the phone. Let's face it, nothing's perfect. 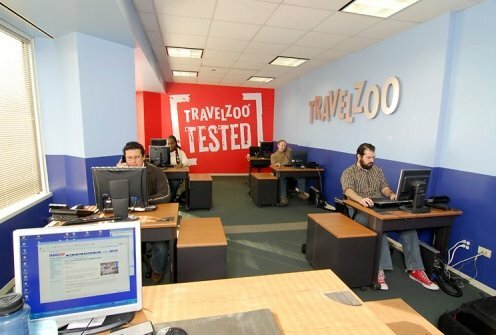 But at Travelzoo, we do everything we can to ensure what we tell you is correct. If we find a travel deal that has a long telephone hold time, changes in dates, changes in prices or any other problem, we'll work to make sure we let the travel company know about it and update the pages on our site to give you the latest and most accurate information.